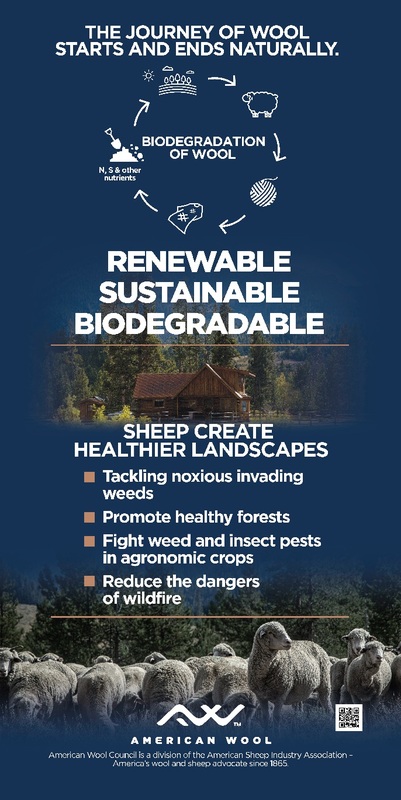 American sheep do their part in taking care of the land by tackling noxious invading weeds, promoting healthy forests, fighting weed and insect pests in agronomic crops and last but not least even reducing the dangers of wildfires. With wool being a completely natural product, it is both: Bio-based and biodegradable. It is part of the most important solutions tackling the challenges around renewability and waste. American Wool is part of this years GreenroomVoice showcase at ISPO again- Hall A4, CSR HUB. If you are interested in wool coming from the vast farmlands of America don’t miss their personal presentation on Monday. 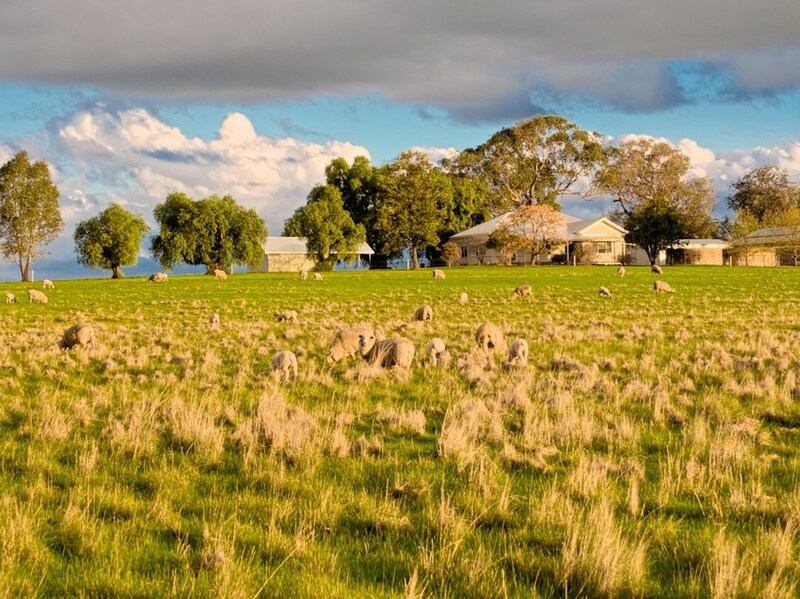 Whilst it has been known for decades that wool biodegrades in soil, adding nutrients back to the earth and does not impact the planet with microfibre and plastic pollution. Opting for wool products can have a positive impact on the planet as the microscopic fibres released into our waterways when we wash our clothes often end up in our food and at the end, we are effectively eating our own clothes. This is an important message for wool in the current awareness and concern for the planet, and how ‘we’ as individuals can ‘each’ help to reduce this impact. A survey of over 2,000 people across the UK showed 44% of people don’t realise that synthetic fibres such as polyester, acrylic or nylon are actually plastic. An estimated 35% of primary micro-plastics entering our oceans are released through the washing of textiles. Hand-selected, natural materials woven through a process, proven and perfected. 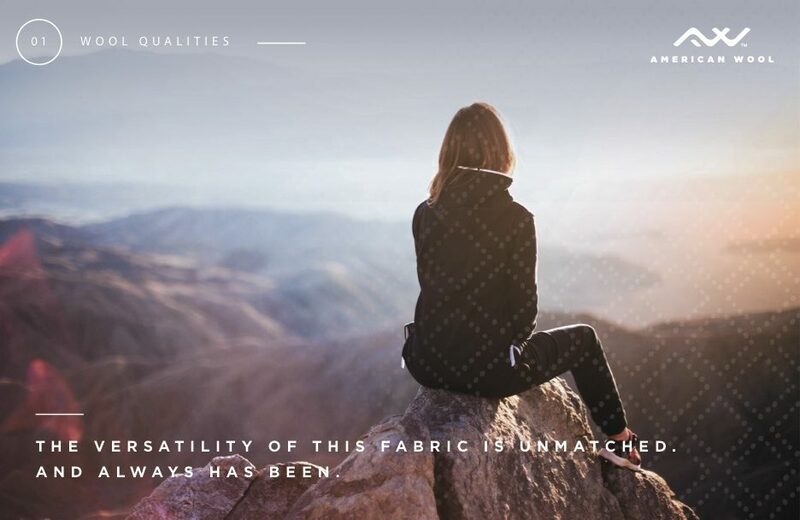 Wool from America welcomes innovation, allowing mastery of both fashion and climate. Striking the balance between expedition tested and red carpet contemporary, wool is not fast fashion. If you want to know more and discuss further, please come meet American Wool Monday 4.2.2019 at 11:00 am, they will present what they are doing during the GreenroomVoice Guided Transparency Tours.